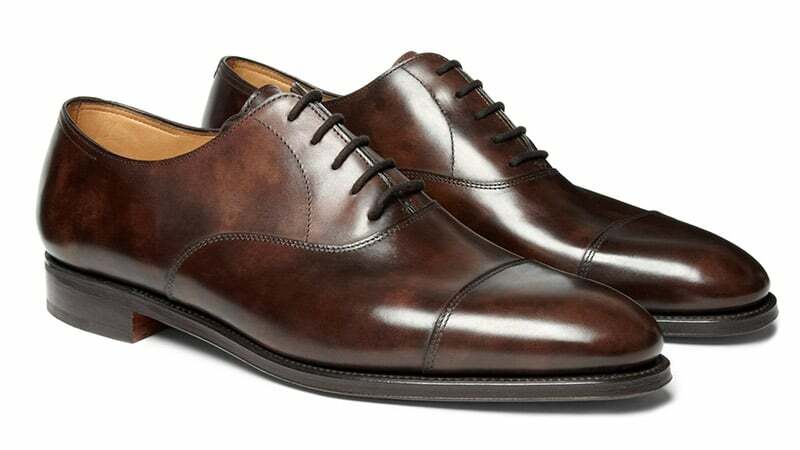 When it comes to men’s dress shoes, the Oxford reigns supreme. 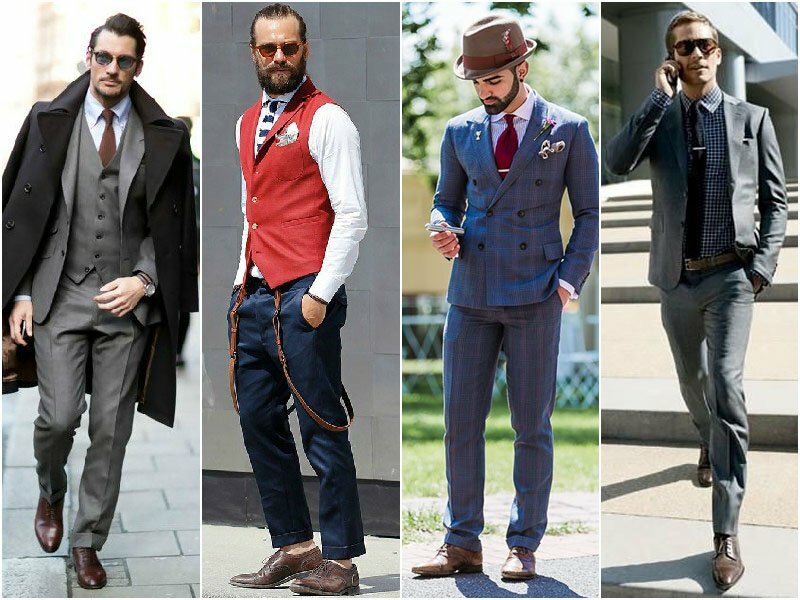 The elegant footwear style has been lending a dapper touch to outfits for centuries and continues to do so today. Perfect for looks ranging from the most formal to smart casual, Oxfords are as versatile as they are timeless. As such, they are an essential staple for all gents, no matter their style. In this guide, we delve deeper into this classic shoe, its many variations, and you can style it. Here’s exactly how to wear Oxford shoes for men. 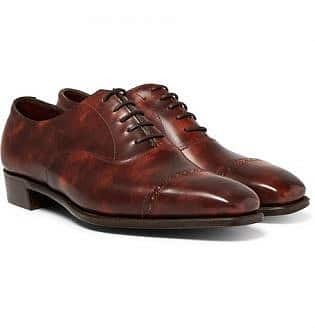 2 What are Oxford Shoes? 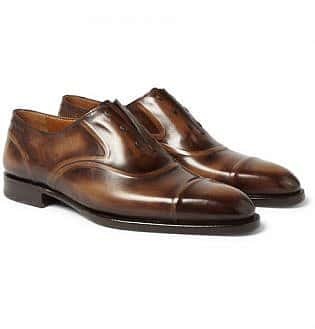 The Oxford is believed to have originated from the Oxonian Shoe, a “half boot” with side slits, that was popular amongst the students of Oxford University in around 1825. 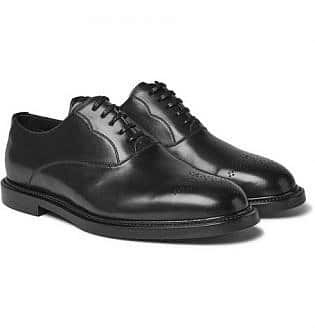 However, others claim that Oxfords first appeared in Ireland and Scotland, where they are sometimes called Balmorals after Balmoral Castle. Closed lacing defines the Oxford. The eyelet tabs are stitched underneath the vamp, or the top of the shoe, unlike the open lacing system of the Derby shoe. 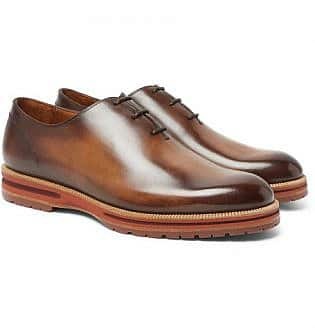 The design was initially a plain shoe made of leather, but over the years the style has evolved significantly and now includes a broad range of fabrics, detailing and varying styles suitable for both smart casual and formal wear. 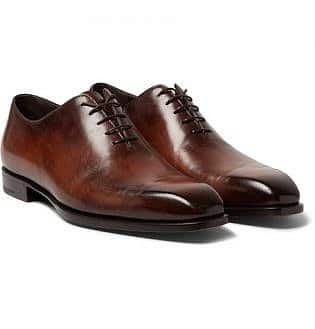 Brown leather oxfords are the perfect option when paired with a grey, dark brown or navy suit. 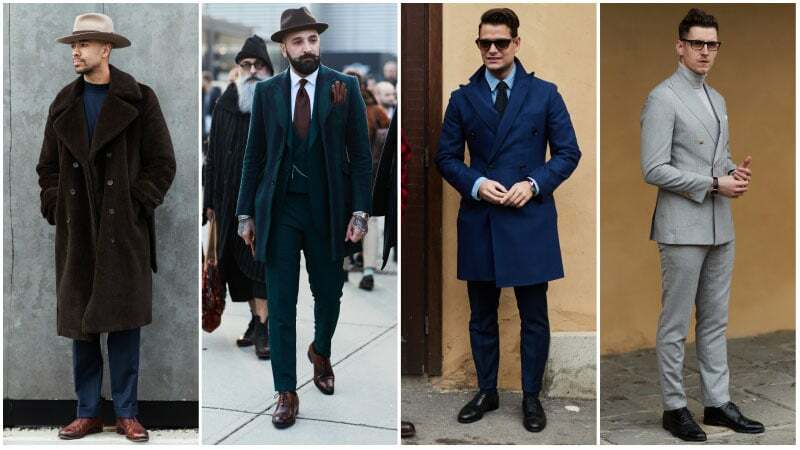 Rather than wearing black, a brown oxford is far more striking when paired with these colours and you will visually stand out. 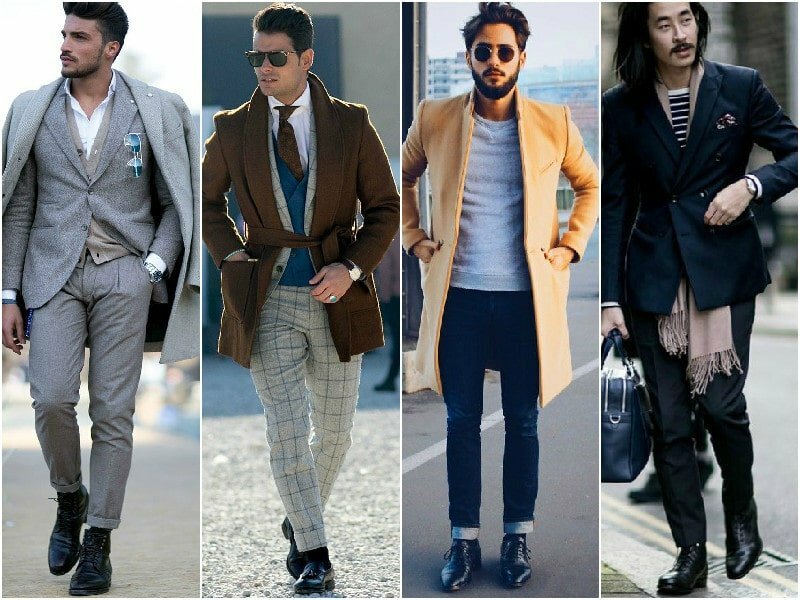 Tan has become a prominent shade in men’s footwear, and because of its dark and light tones, it is one of the simplest colours to style as it goes with almost everything. Tan is also an excellent option for a less formal look and can be worn with denim trousers, bright coloured chinos and tailored navy pants. 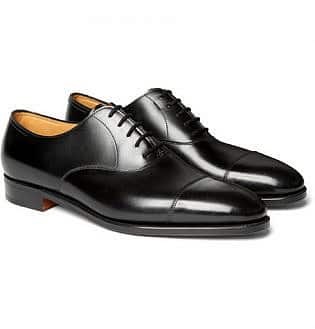 No man should be without a pair of black Oxfords in his wardrobe, and it’s the number one colour to wear for business. 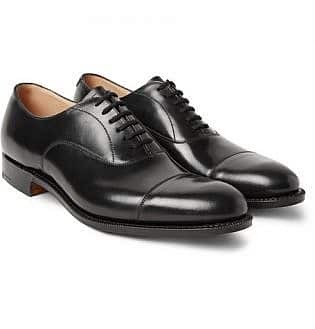 Black Oxfords are quite possibly the most versatile shoes that a man can own, and can be styled with almost every colour for a polished yet conservative look. 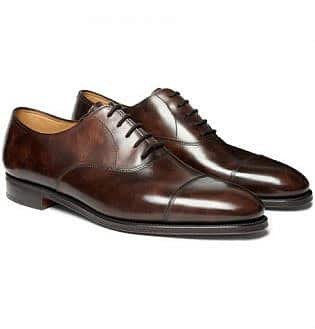 Thanks to their polished appearance, Oxford shoes are perfect for formal occasions and functions. 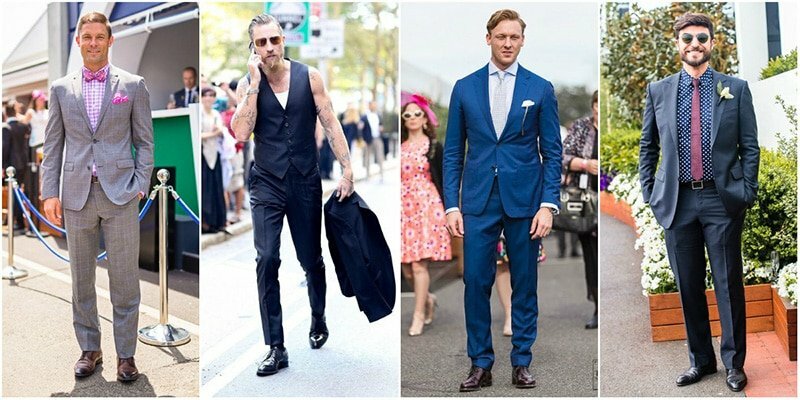 They complement suits perfectly and provide outfits with a dapper touch. 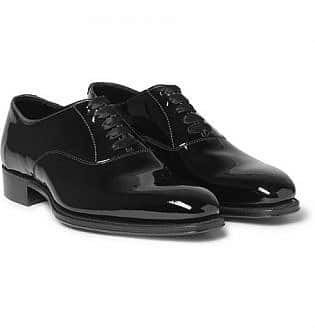 To achieve a seriously sophisticated look with Oxfords, be sure to select a black patent leather pair. Also, keep in mind the width of the shoe. As a general rule, slimmer Oxfords appear dressier than those that are wide. Oxfords can also work for a variety of smart casual events, such as lunches, parties, and more. 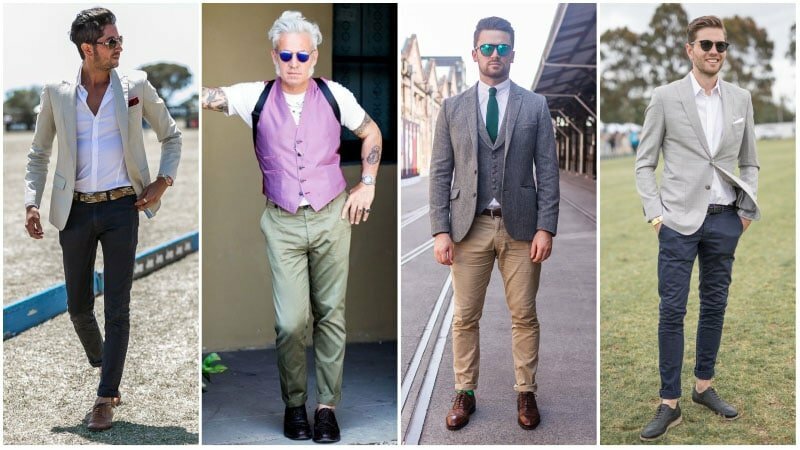 To pull off such a look with Oxfords, start by finding the perfect pair of pants. 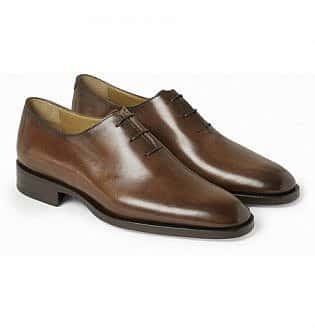 As Oxfords are quite formal, they require a somewhat casual pair of pants to balance their style. 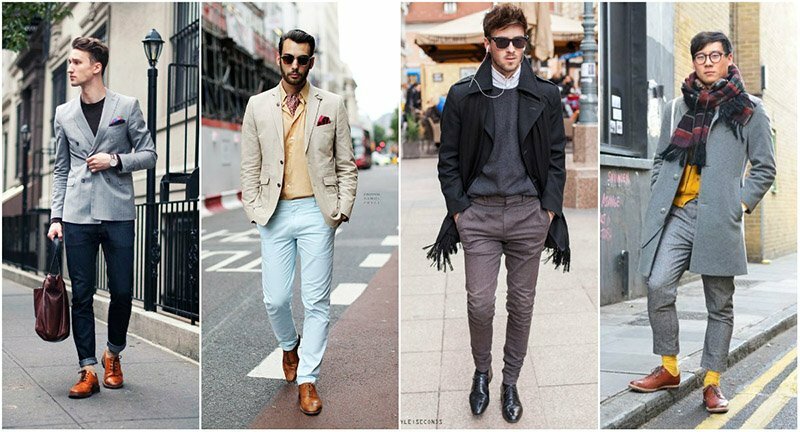 In particular, chinos or dressy jeans will work well to achieve the desired aesthetic. Then, complete your look with something that is comfortable yet chic on top. 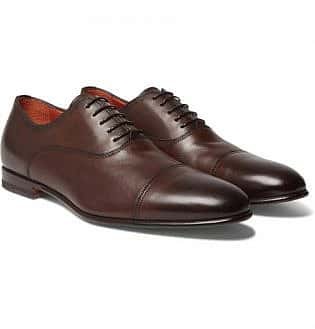 If you’re wearing suit pants or trousers, Oxfords can make an excellent footwear choice. Due to their sleek and sophisticated aesthetic, these shoes are the perfect partner to formal outfits. So, whether you’re off to a wedding, cocktail event, dinner or even work, this footwear style is an ideal chose. 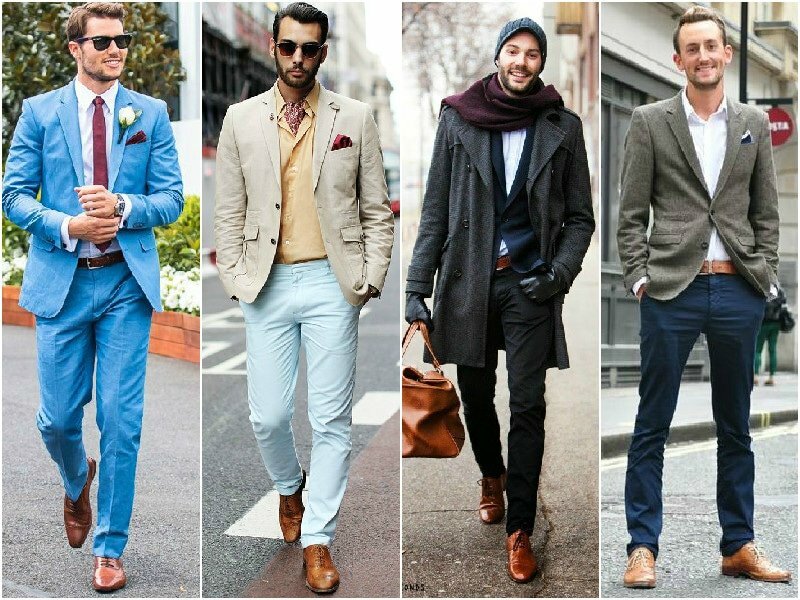 To nail the look, just make sure you select the right style and colour Oxfords to suit the pants you’re wearing. For a stylish, smart casual look, Oxford shoes and chinos make a fantastic choice. To keep the outfit coordinated, just choose basic colours for each piece. For instance, chinos in navy, brown, sand or black can easily suit brown or black Oxfords. On top, you have a choice of what you want to wear. For a dressy look, try a long-sleeve button-up. For a relaxed appearance, consider a short-sleeved shirt or t-shirt. Although Oxfords are dress shoes, that doesn’t mean you can’t wear them with jeans. 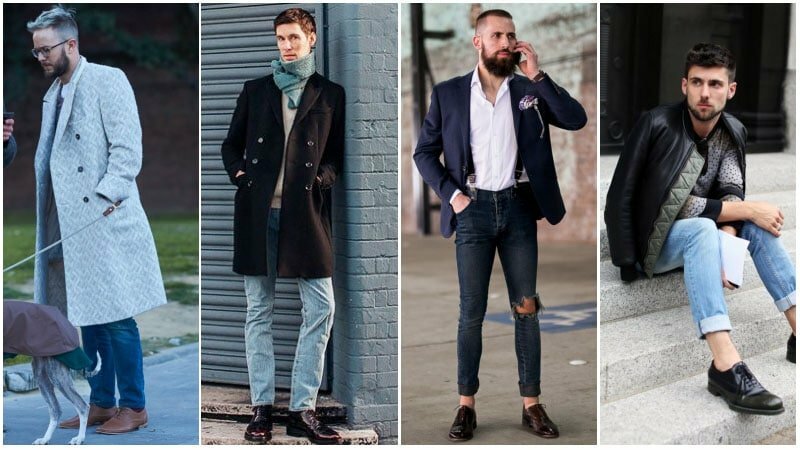 In fact, Oxford shoes can look seriously stylish with a jeans outfit so long as you wear them right. To nail the look, pay close attention to the colour of your shoes and jeans. While tan Oxfords can appear seriously smart with blue jeans, brown or black designs can pair better with darker denim, such as indigo or black. Also, to ensure your overall look is appropriate, be sure to balance your shoes with a button-up shirt or blazer on top.